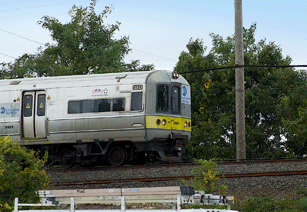 ISR provided technical writing and logistical assistance to the LIRR on the revision of its training and troubleshooting manuals for the microprocessor-controlled signal system which controls train movements through three interlockings at the Railroad's Jamaica Station complex? ISR is part of a design team that will prepare a design and provide construction phase services for the Massapequa Pocket Track Project, PN-TV. ISR is developed the construction staging and force account schedule for the Long Island Rail Road project to install a second track between Farmingdale and Ronkonkoma. The team’s design will involve three (3) No. 10 Track Switches, three (3) M23 Signal Switches, five (5) color light signals and their support system, Aerial Fiber Optic cable to connect the Central Instrument location (Cll), Supervisory System, 1700 feet of third rail, 2400V, 100 Hz service for the signal system, 60 Hz electrical service to feed signal hut lighting and HVAC. Additional design items include a retaining wall and a 75 foot span to support the pocket track for Unqua Creek Bridge. This 1700 foot pocket track will be for 12-car consist, helping prepare for future East Side Access related service demands, allowing for more service and increased seating availability for customers along this branch, by providing robust, frequent service to both Penn Station and Grand Central Terminal.